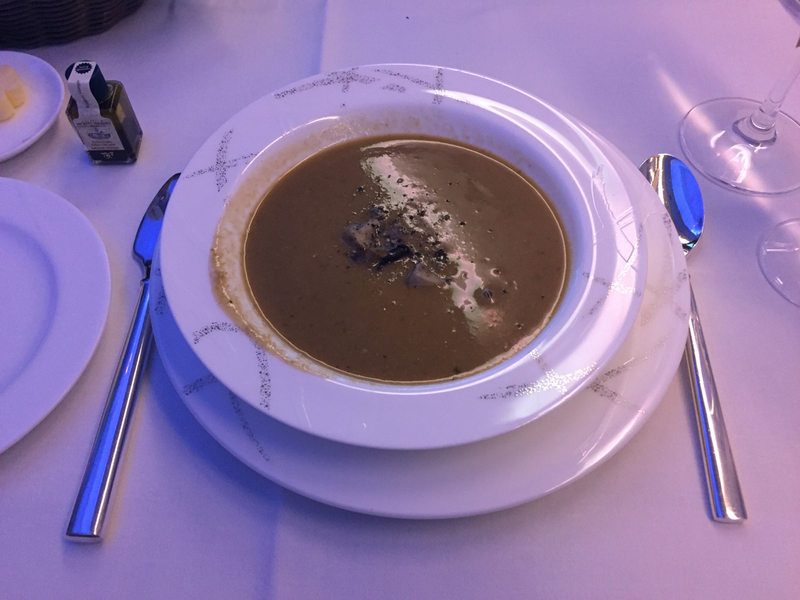 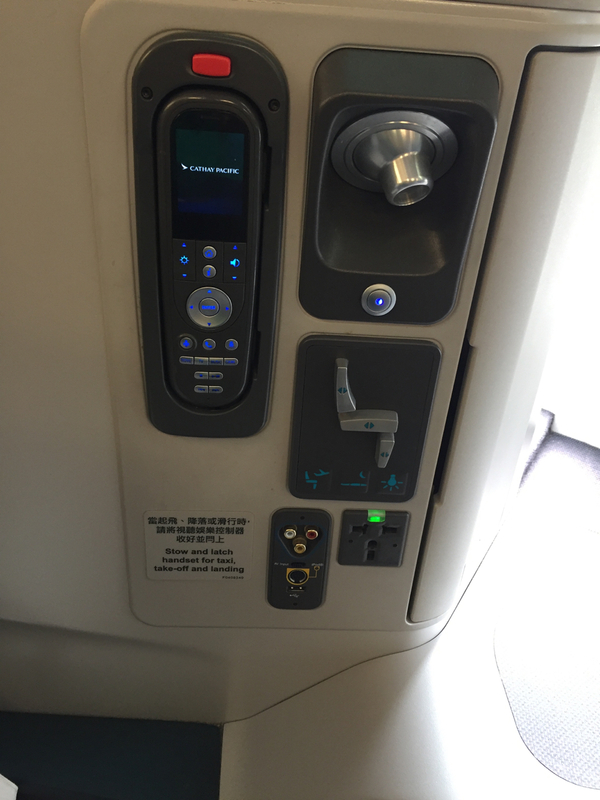 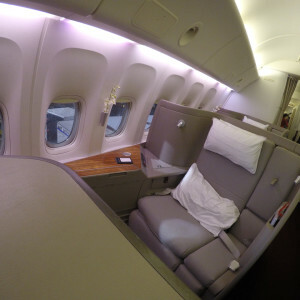 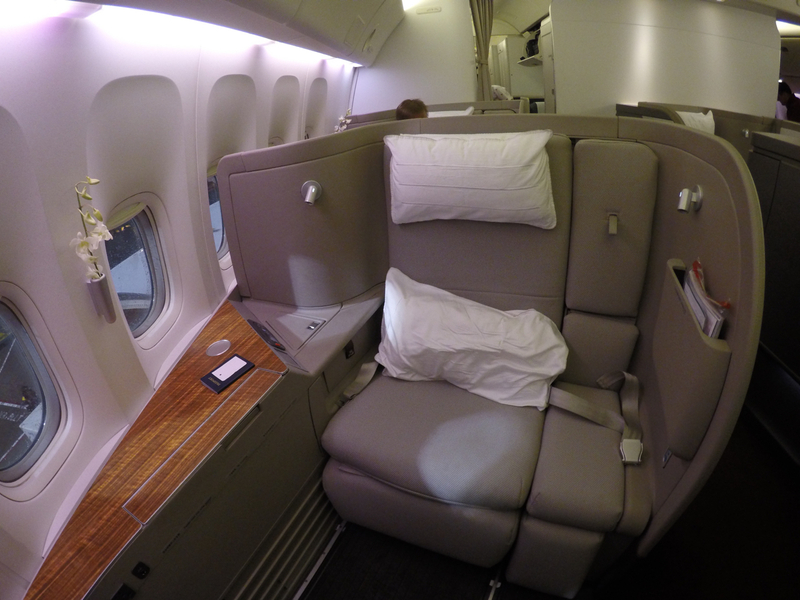 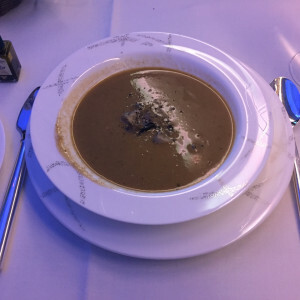 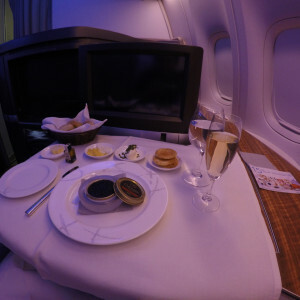 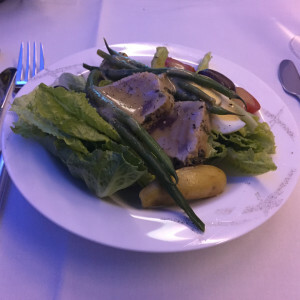 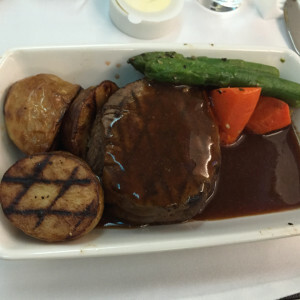 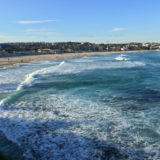 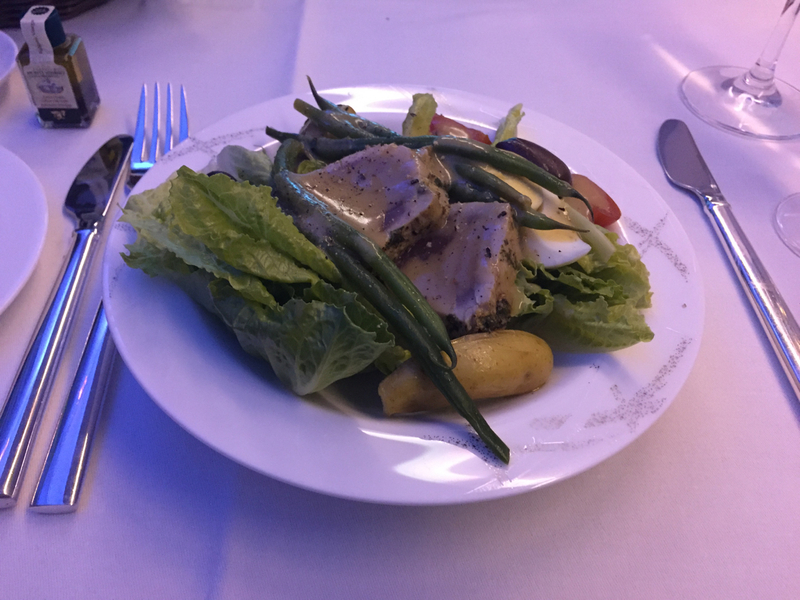 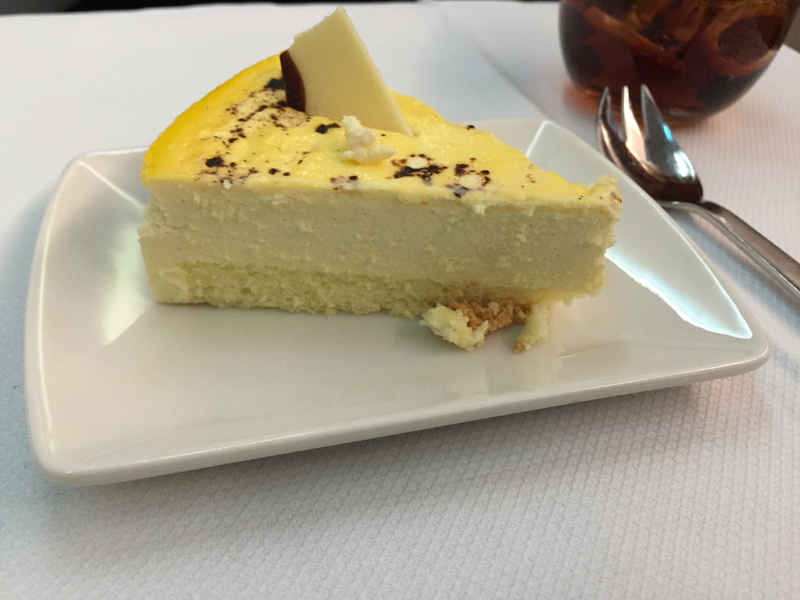 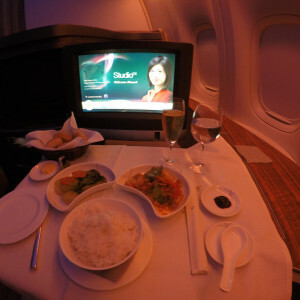 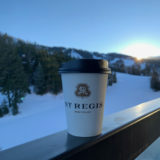 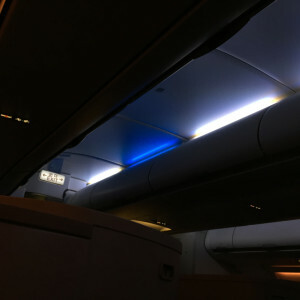 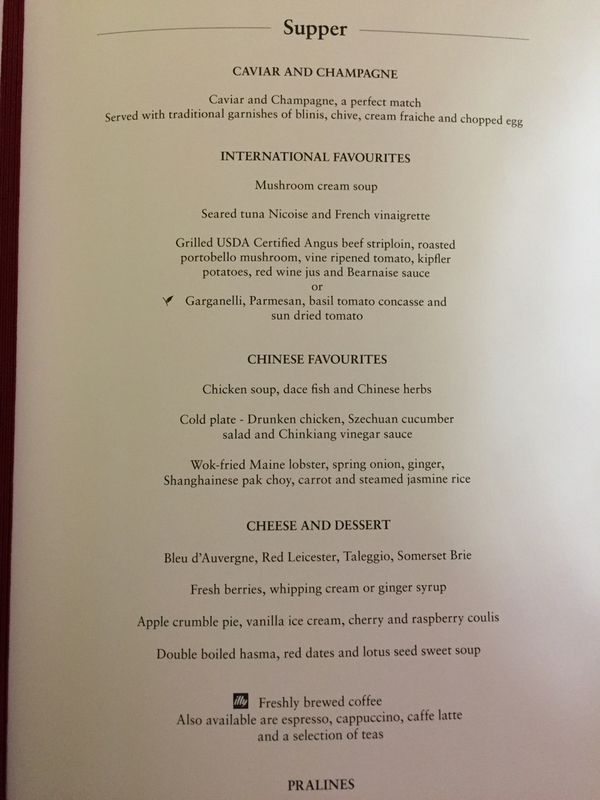 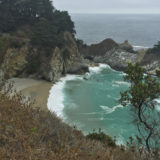 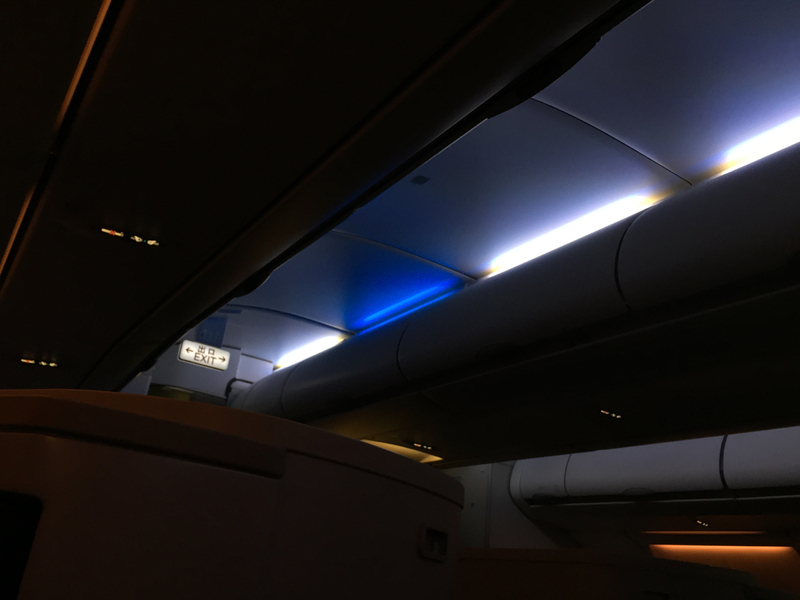 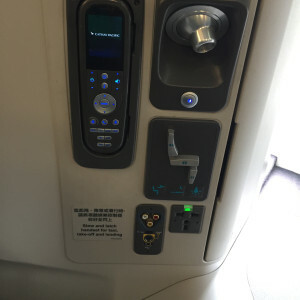 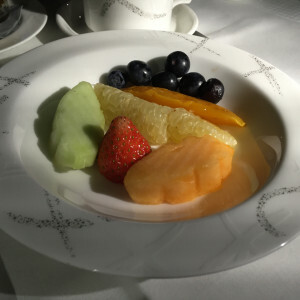 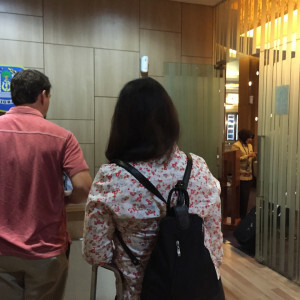 Travel interruptions are very unpredictable and I was faced with canceling a Singapore Airlines First Class award ticket on my recent trip. 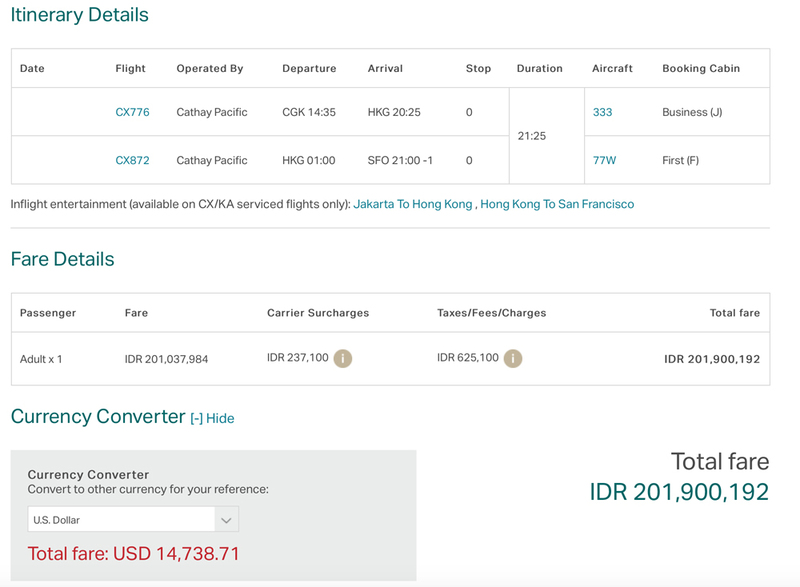 I was very lucky the redeposit fees to cancel the ticket are only $30 which is the lowest I’ve heard of unless you have elite status with an airline. 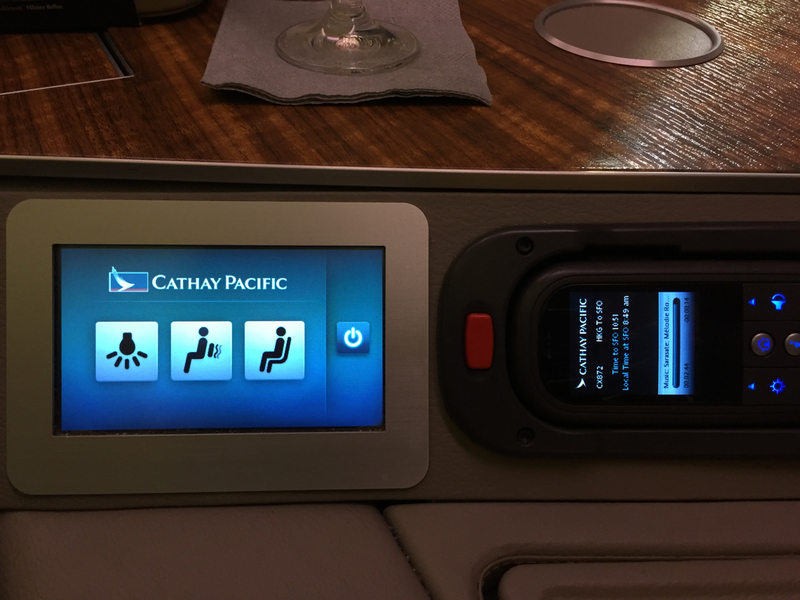 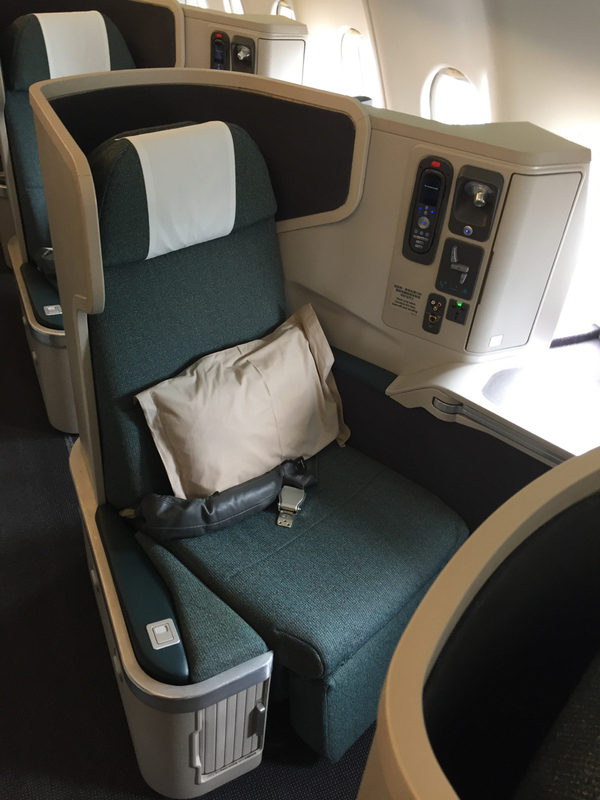 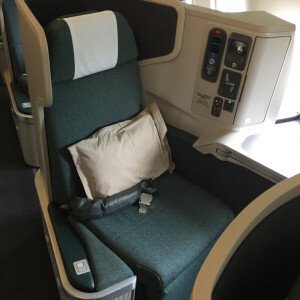 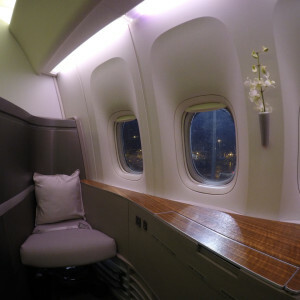 With the upcoming devaluation of AA miles on March 22nd, I decided it would be best to try to get a last minute ticket on Cathay Pacific in First Class for 67,500 AA miles one-way instead of the upcoming requirement of 110,000 miles one-way. 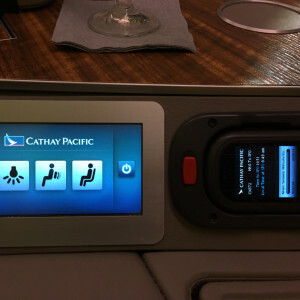 Cathay Pacific releases partner award availability last minute consistently and I was lucky the flights I needed (<24hr prior to departure) were available. 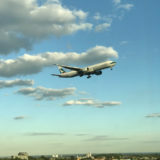 I was able to book the ticket for only 67,500 miles and $126.26 in taxes/fees. 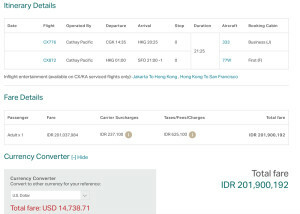 Award tickets can be an amazing value for last minute tickets as the retail price on my ticket was running IDR 201,900,192 which was roughly USD $14,738. 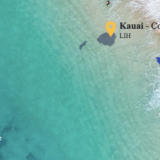 An amazing $0.22 per mile value! 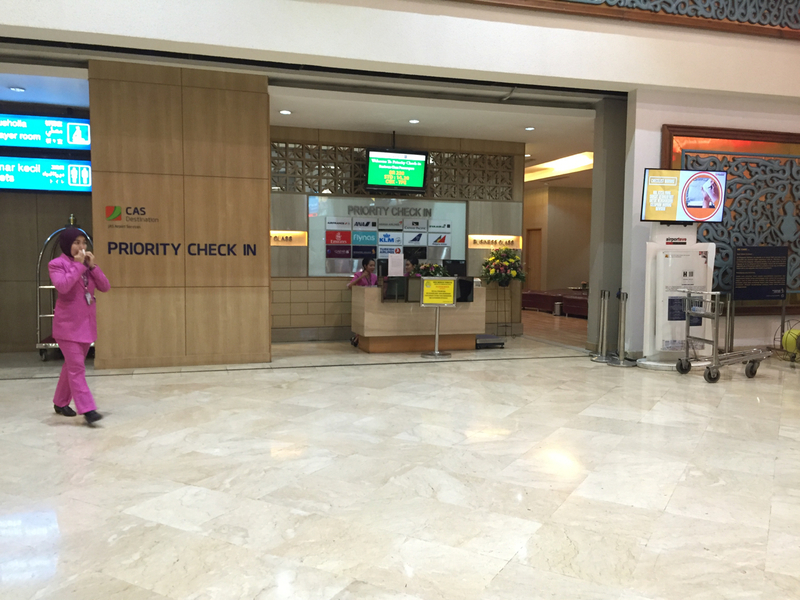 Checking in at CGK was very smooth although there was heightened security due to the recent bombings in Jakarta. 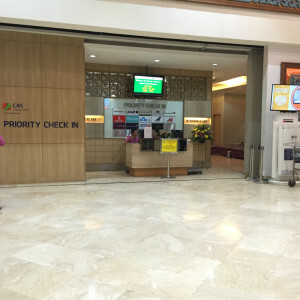 After checking my bags, I was able to use the Priority Check In entrance which is available to premium class passengers. 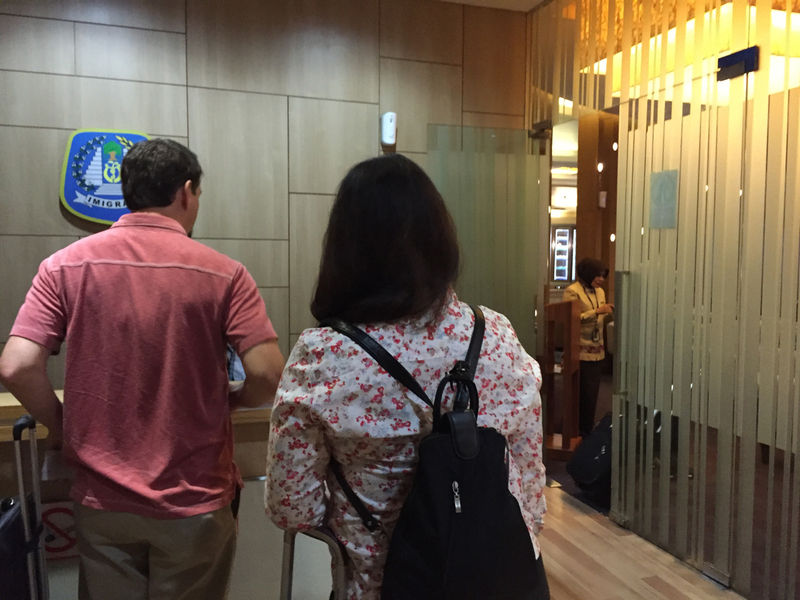 I proceeded to a private immigration desk and being dropped directly into the lounge made it the most enjoyable process I’ve ever had. 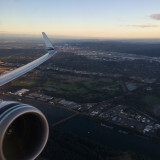 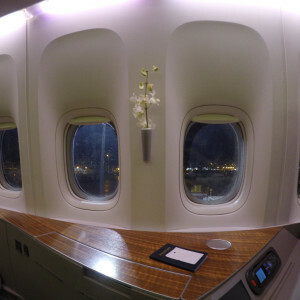 It felt very similar to flying a private jet. 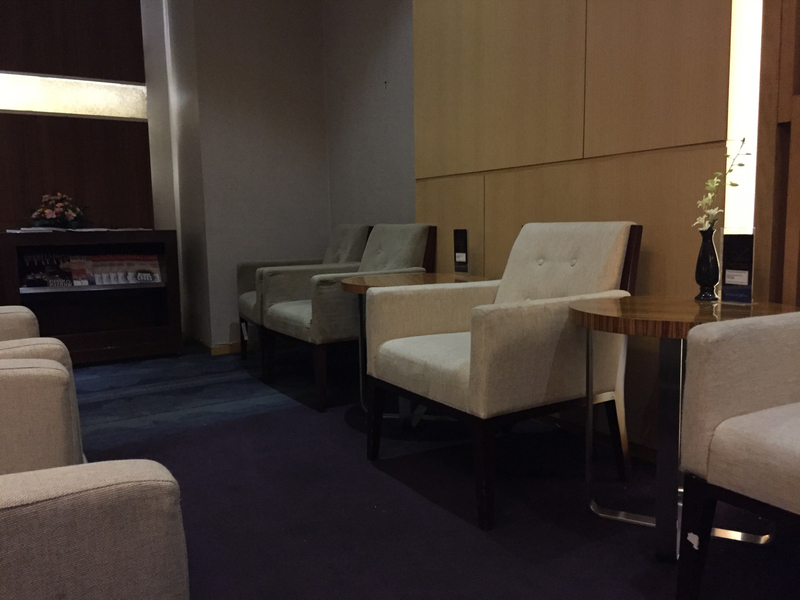 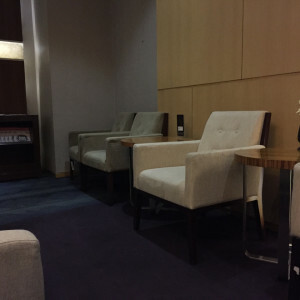 After spending some time in the lounge, I headed off to the boarding gate. 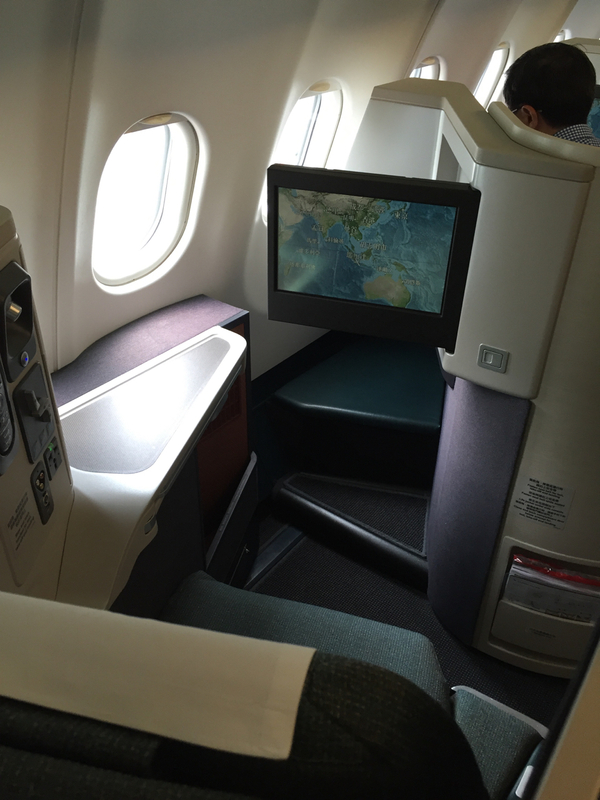 Upon boarding, I found my seat at 14A which is the same reverse herringbone Business Class seat EVA Air and AA are offering now. 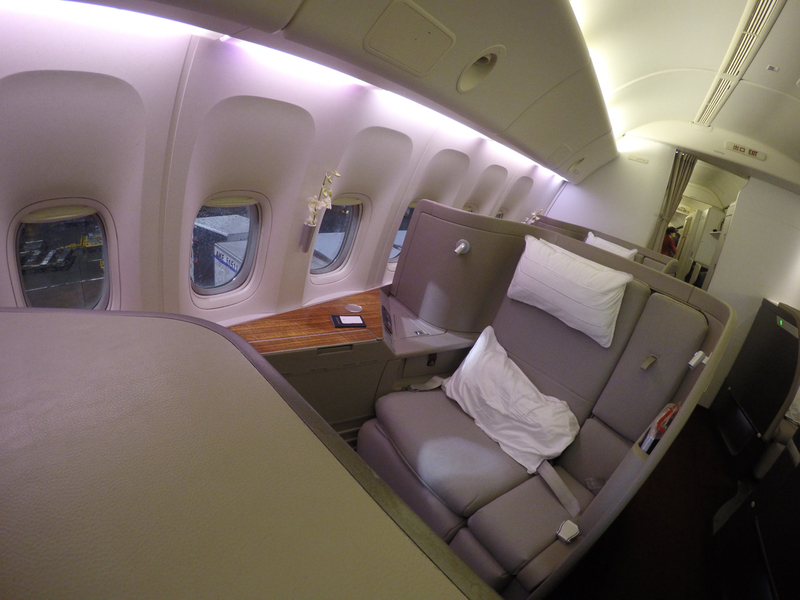 It’s the best business class seat available today. 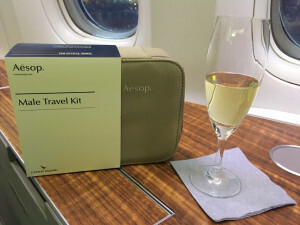 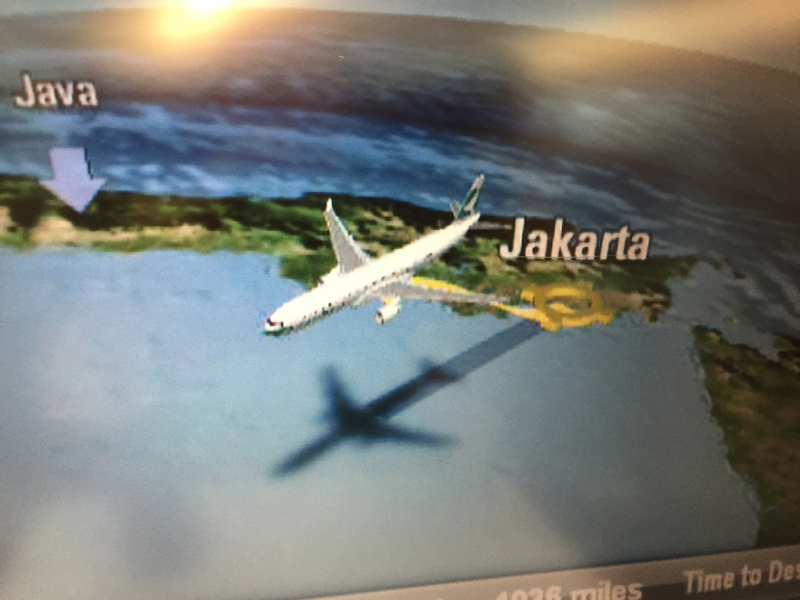 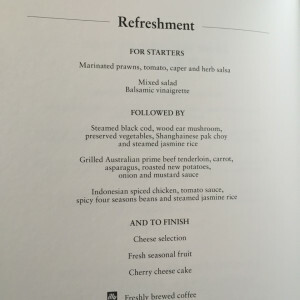 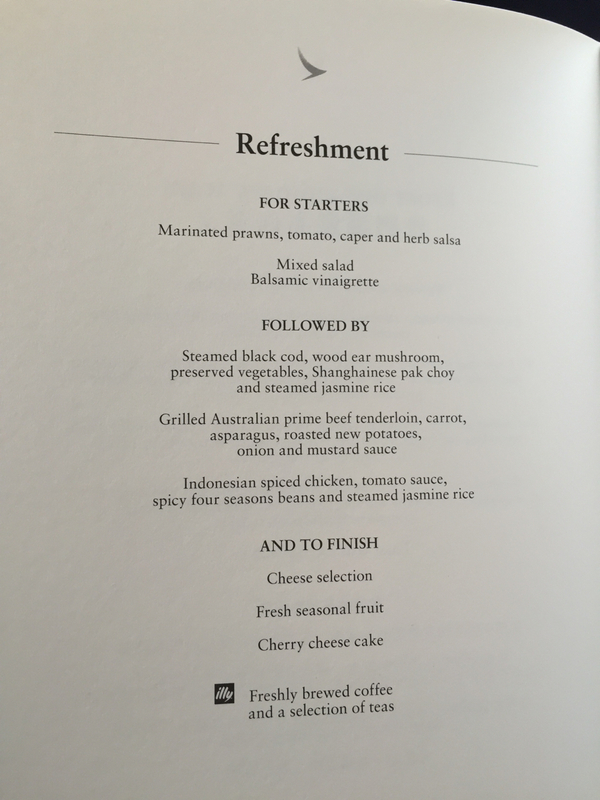 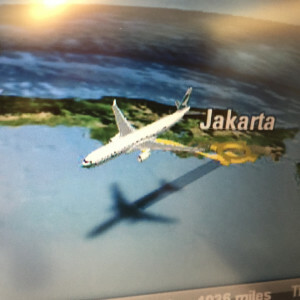 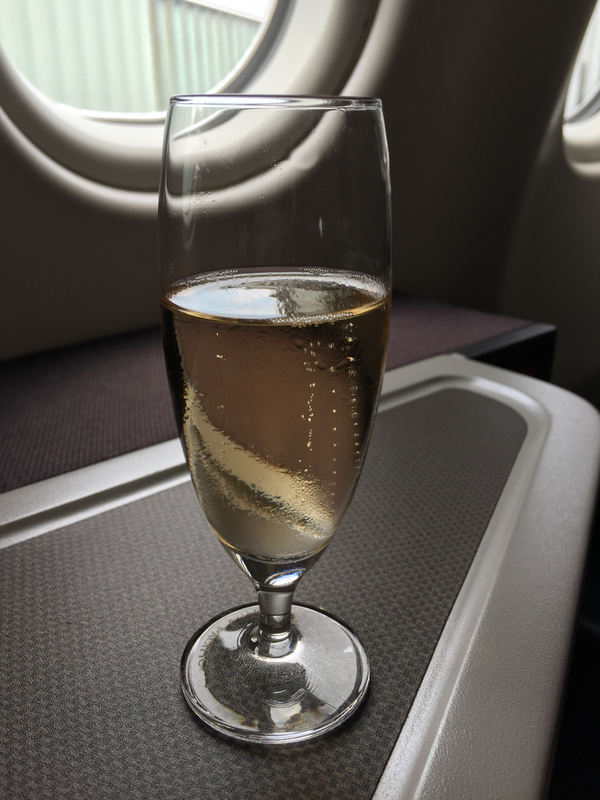 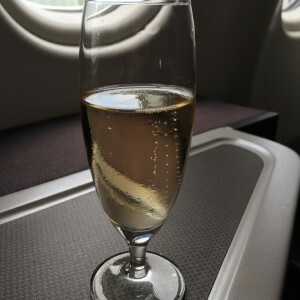 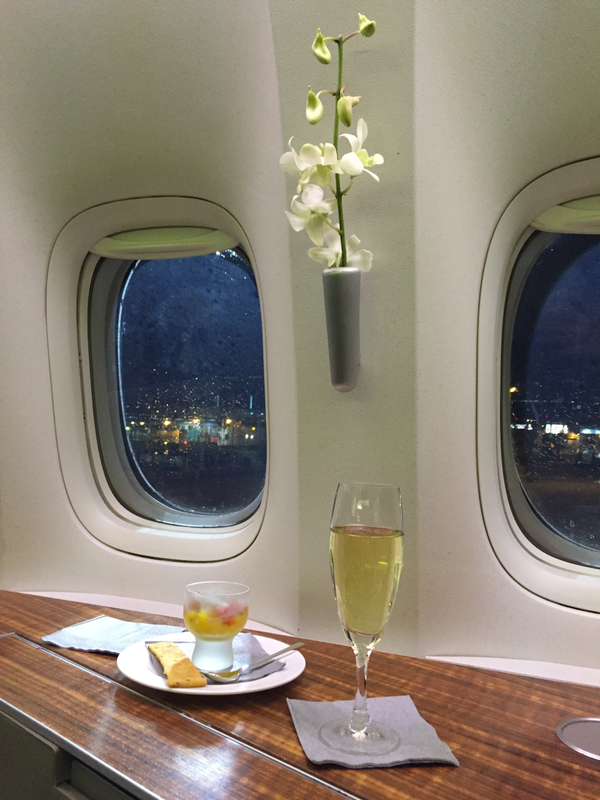 Prior to takeoff, I was offered champagne which I gladly had a glass after a hectic past 24 hours of rebooking my trip to leave Jakarta earlier than planned. 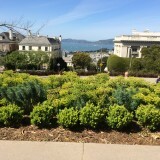 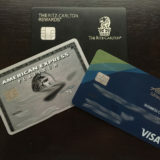 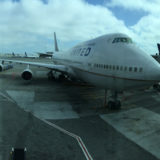 After spending hours in some of the best airport lounges in the world, I was ready to board my flight to San Francisco. 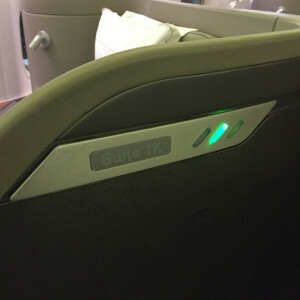 Unfortunately, when booking a last minute one-way ticket to the US you are flagged with SSSS on your boarding pass. 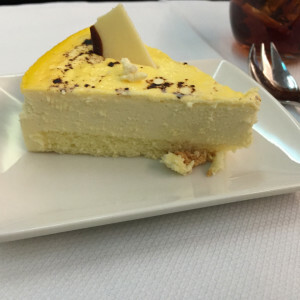 This requires secondary screening prior to boarding the plane. 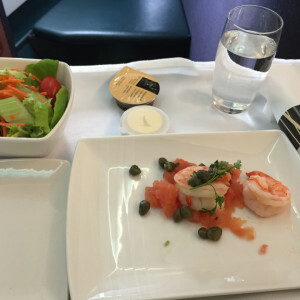 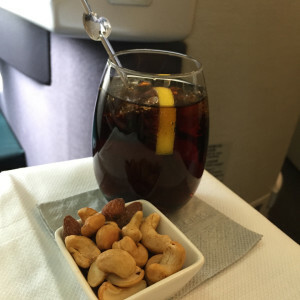 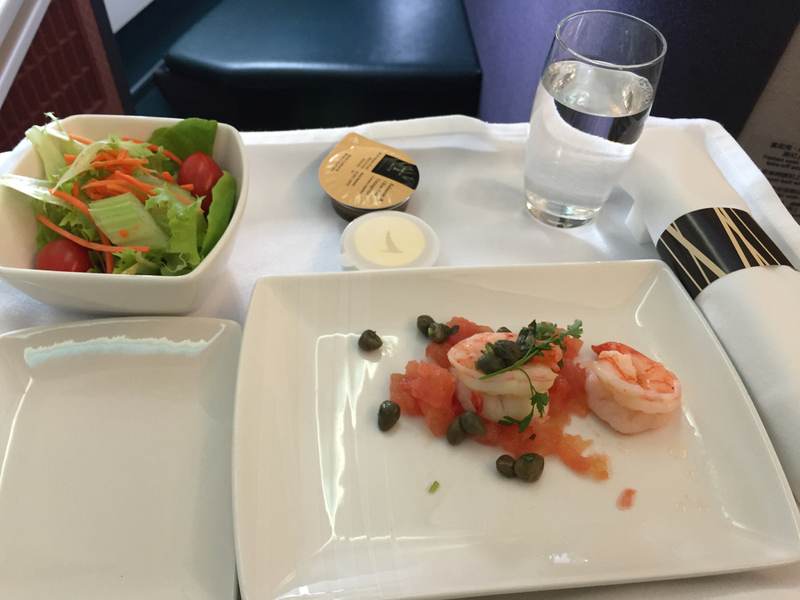 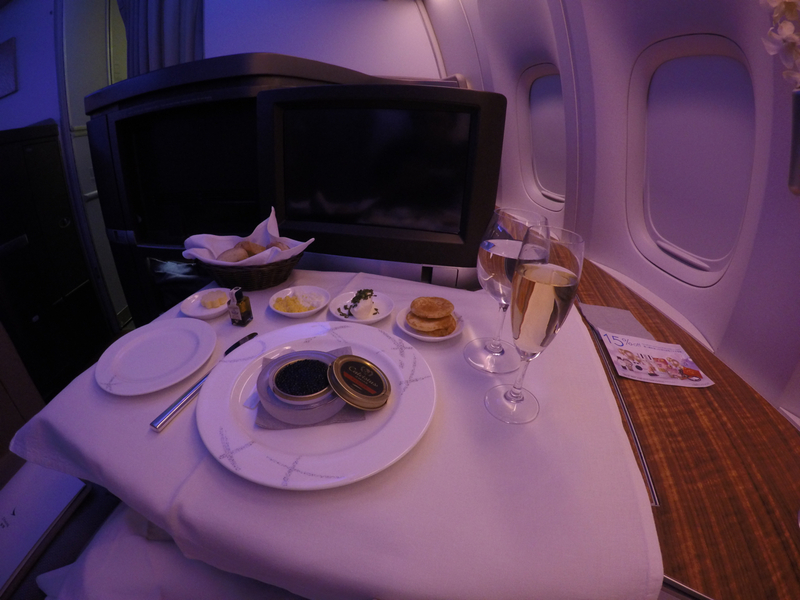 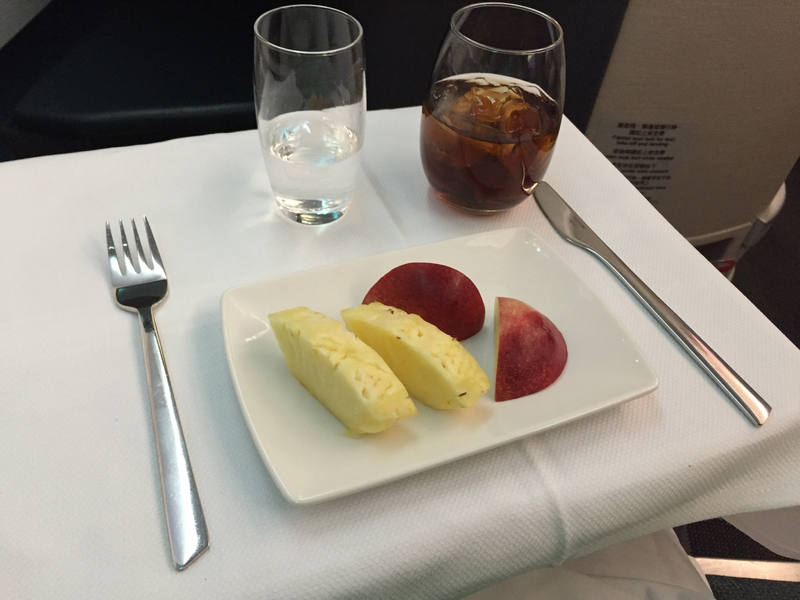 I’ve already gone through this when I flew on a one-way ticket with Etihad Suite Class 2 years ago so I knew what to expect. 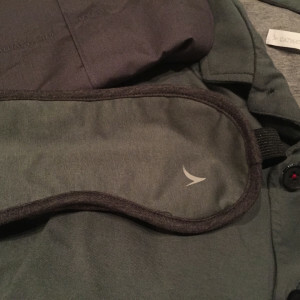 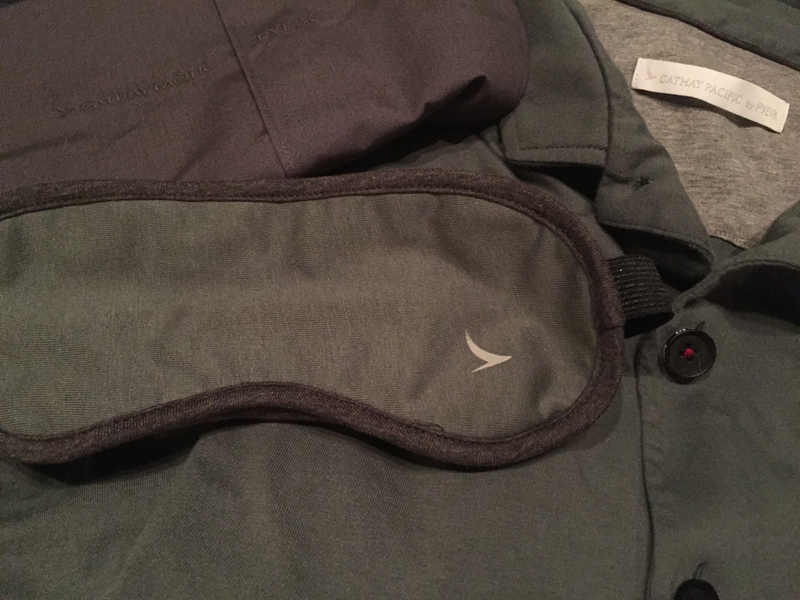 Security just goes through your entire bag in detail and asks you some questions. 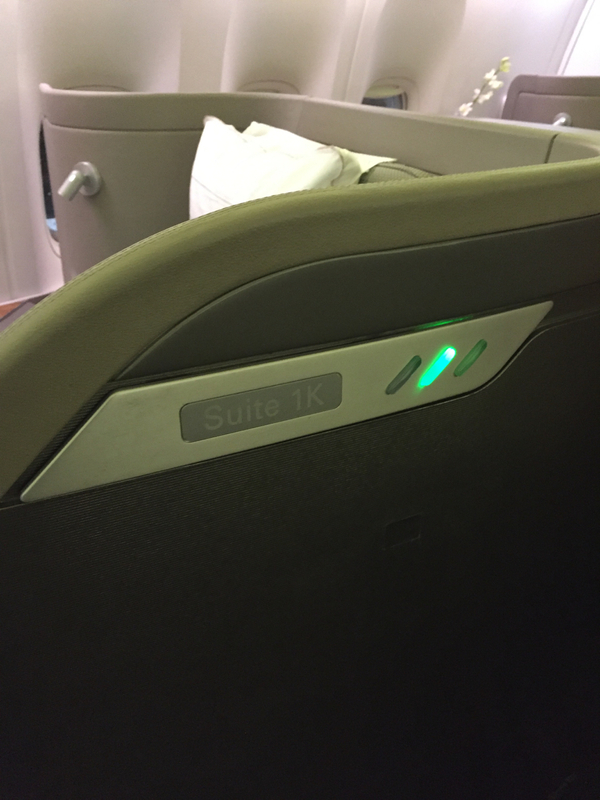 Upon boarding, I was escorted to my seat Suite 1K. 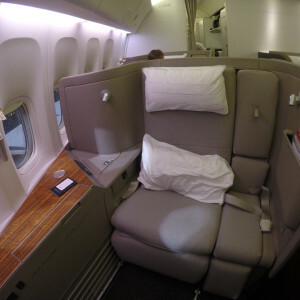 This was the largest First Class seat I’ve seen to date. 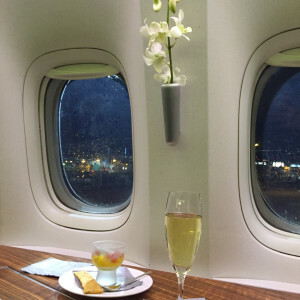 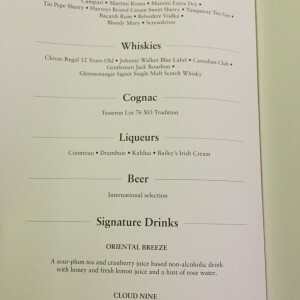 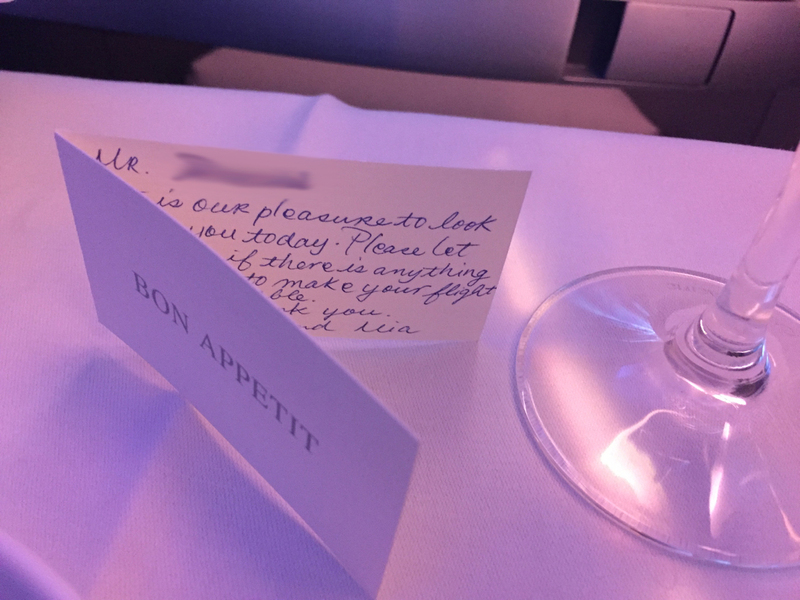 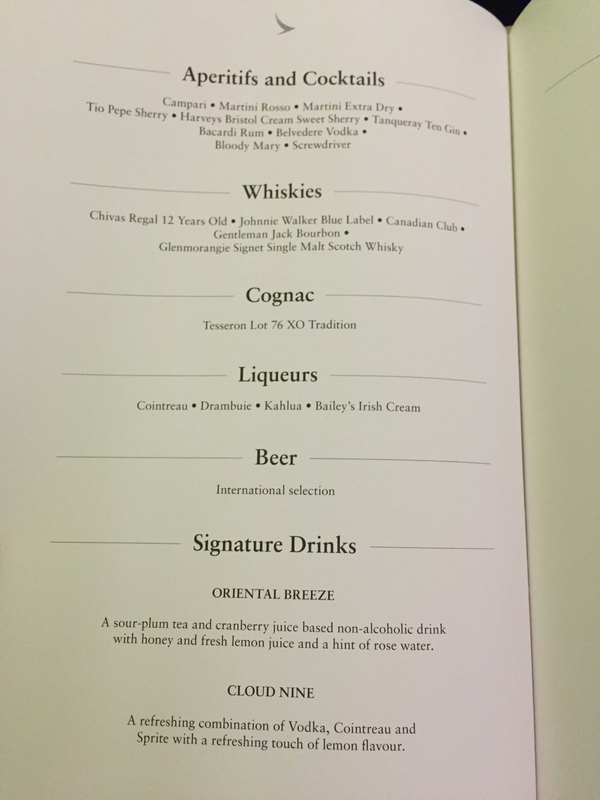 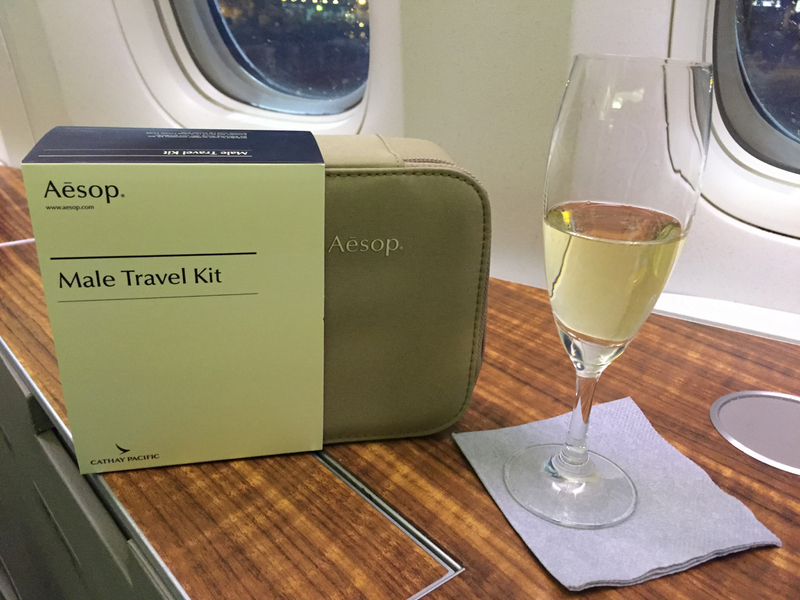 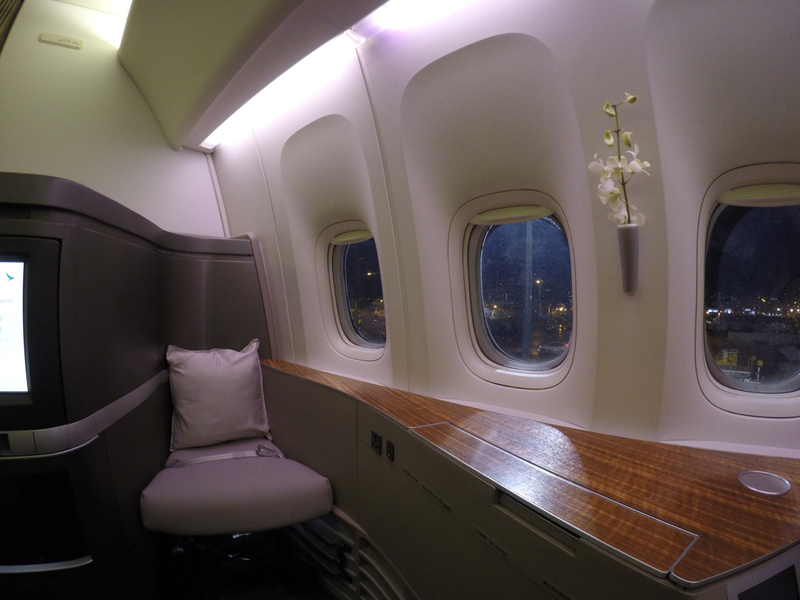 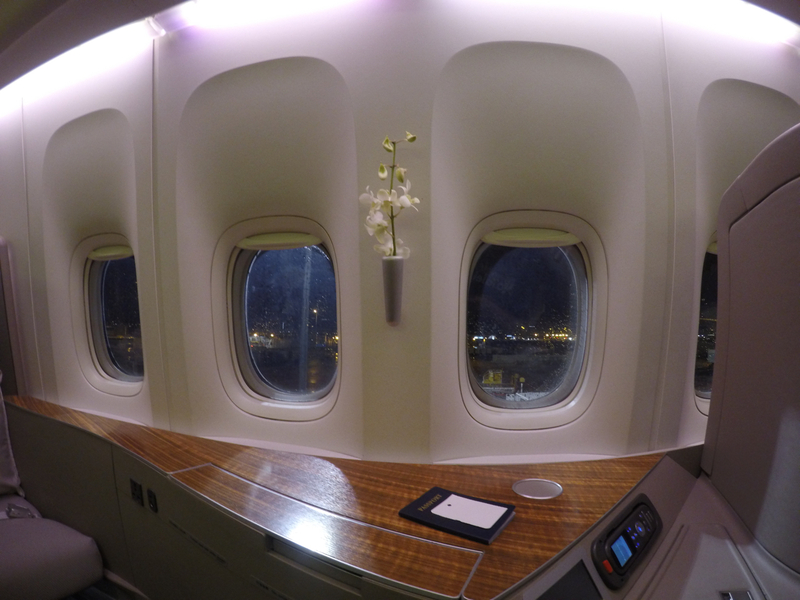 The attention to detail with the flower on the wall, Aesop amenity kit, Krug Champagne and amuse bouche to start prior to takeoff blew me away. 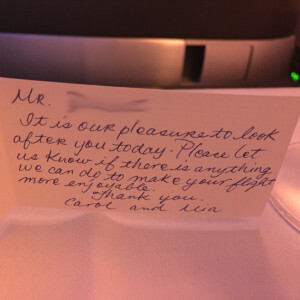 I was ready for an amazing flight with my spectacular flight attendants, Carol & Mia. 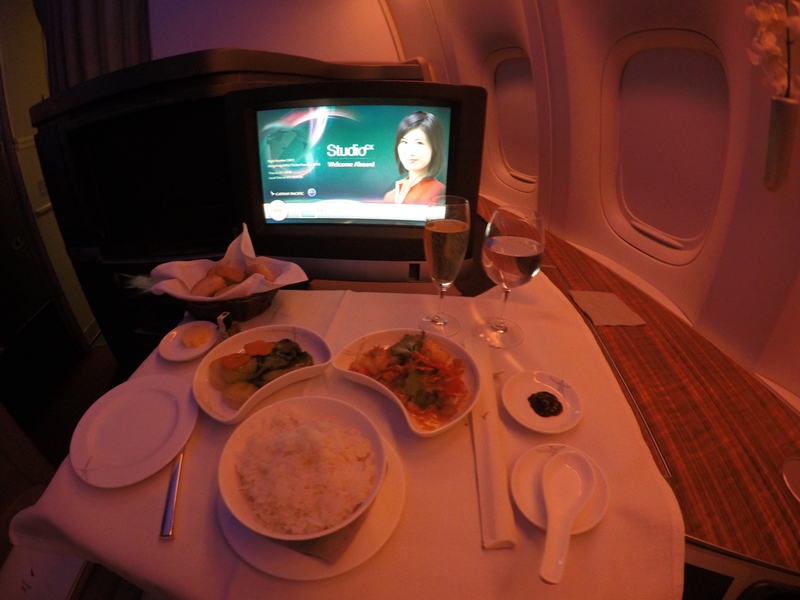 After takeoff, supper service was promptly started. 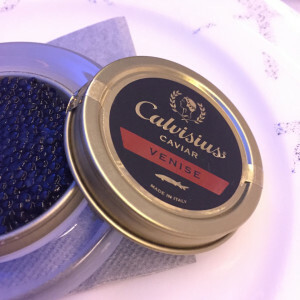 It started with Caviar and more Krug Champagne. 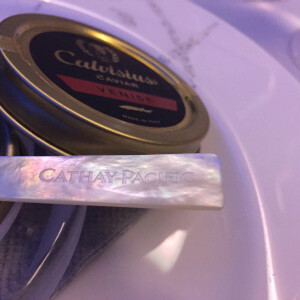 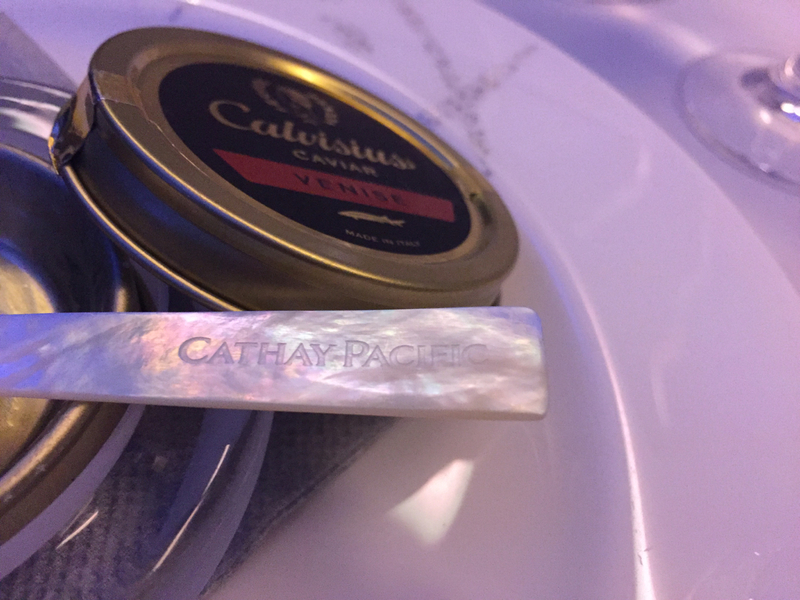 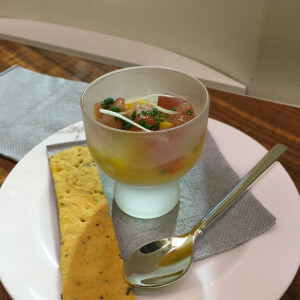 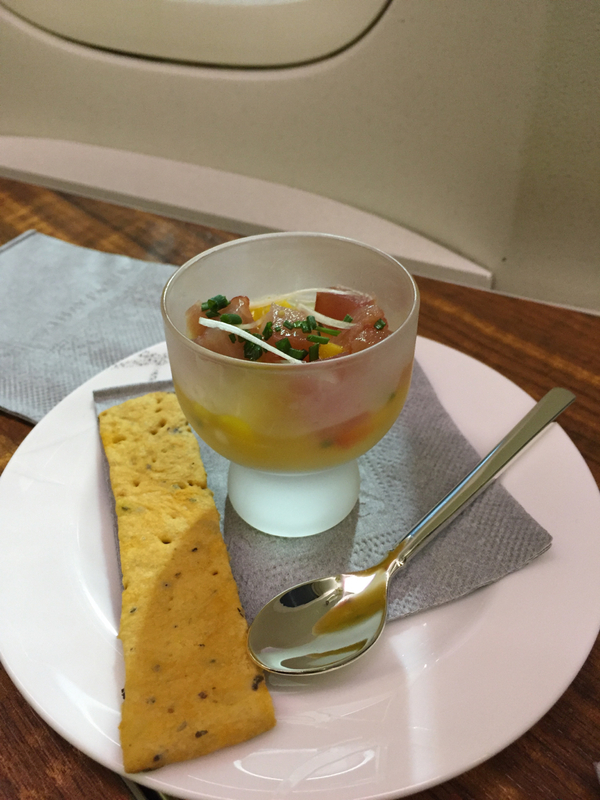 This was my first time trying caviar and it was served with a mother of pearl caviar spoon which had Cathay Pacific engraved on it. 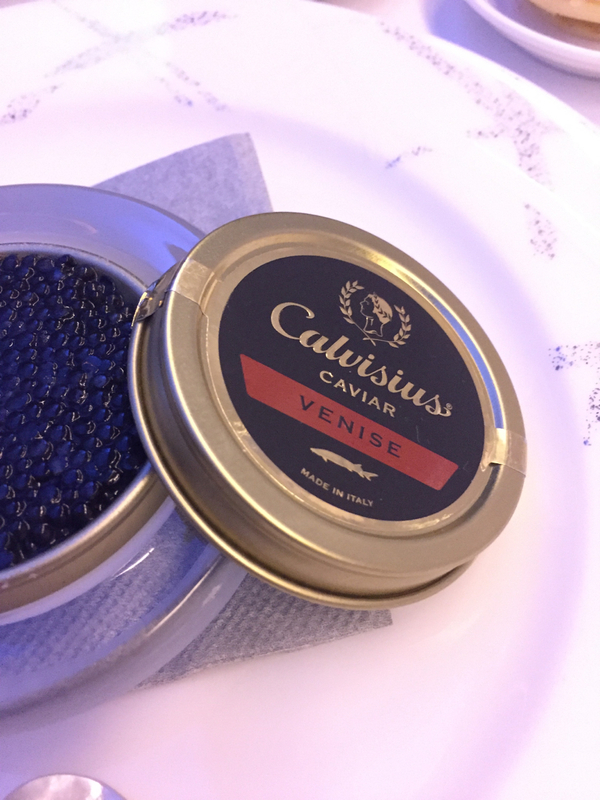 It was very tasty but I just can’t imagine buying a container for $100+. 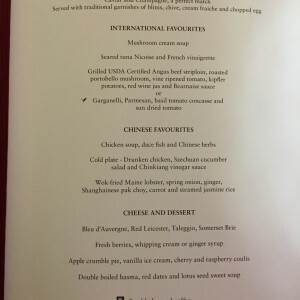 I opted for a mix of the International and Chinese favorites for the rest of my meal. 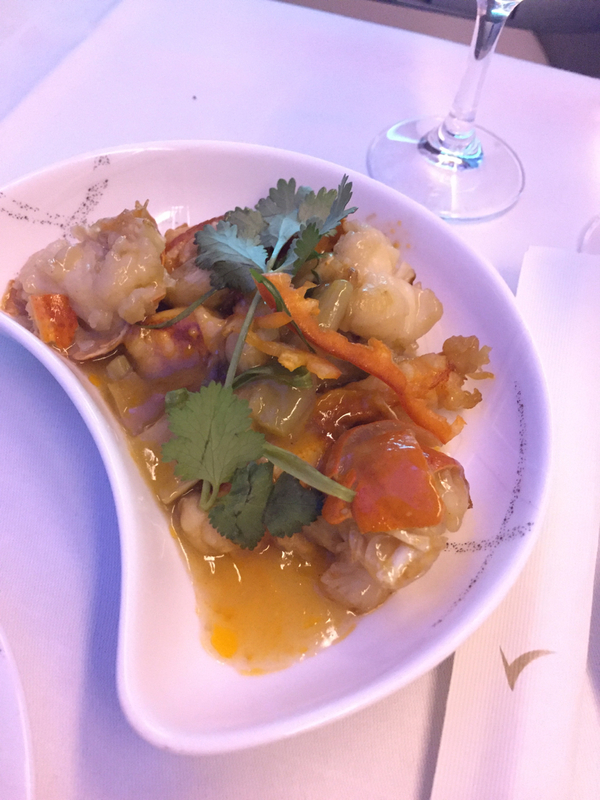 The soup and salad were tasty but I was looking forward to the Wok-fried Maine lobster which was amazing. 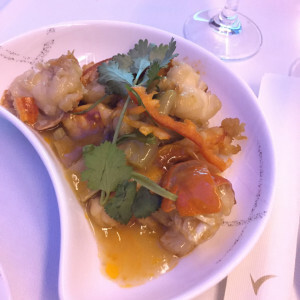 The amount of lobster meat was very generous. 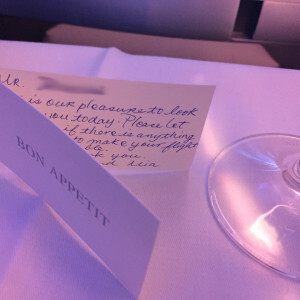 Towards the end of the dinner service turbulence hit the plane and they were forced to end service early which meant no dessert service. 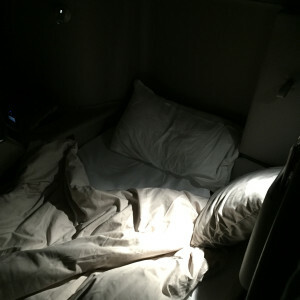 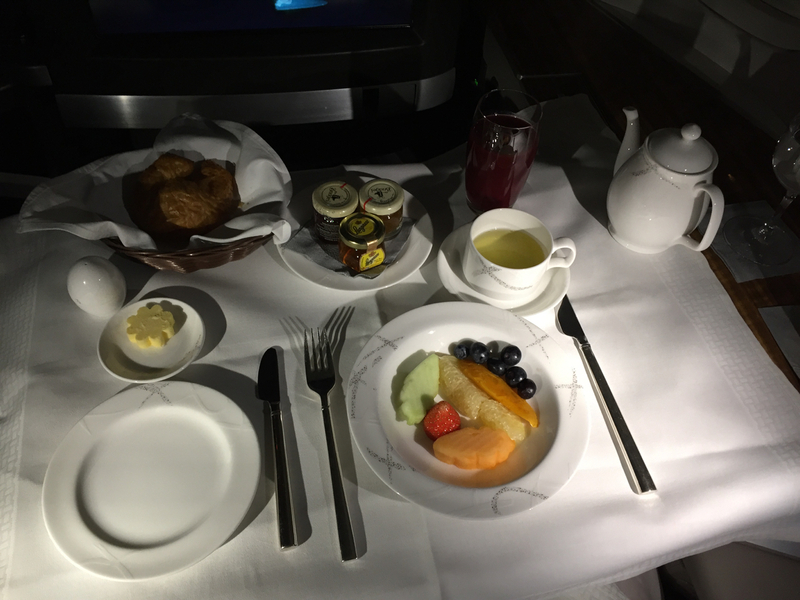 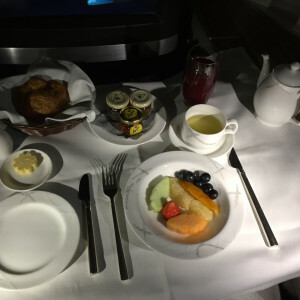 After 90 minutes of nonstop turbulence, they offered dessert but by that time I was ready for bed so they prepared my bed as I changed into the provided PYE pajamas. 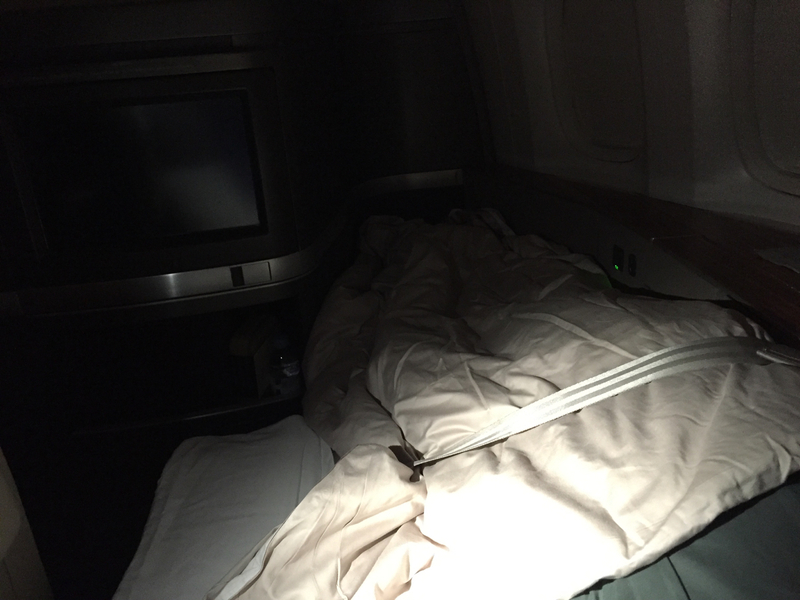 The pajamas are the most comfortable I’ve had on a flight and still wear them to bed now at home. 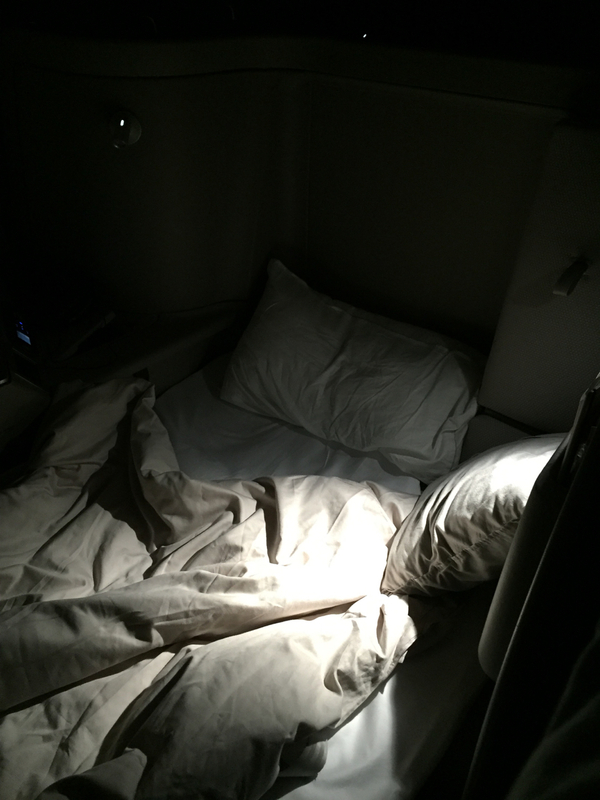 The bed was the most comfortable I’d ever flown! 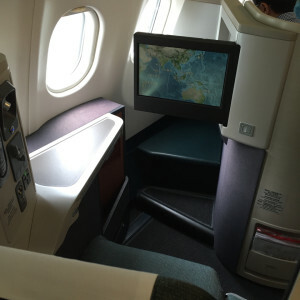 The extra wide seat allowed plenty of room to move around. 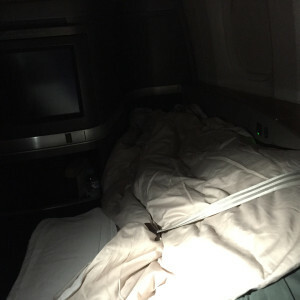 They make the bed ups with a mattress pad which makes it feel like a real bed and not sleeping on sections of an airplane seat. 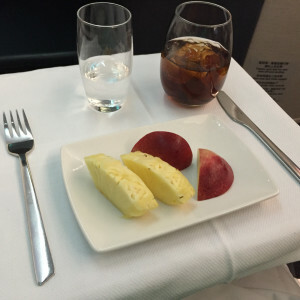 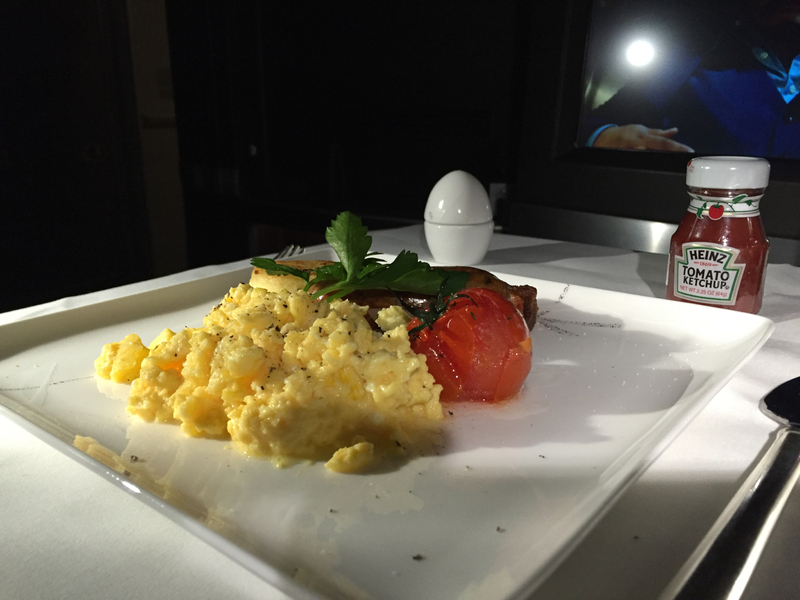 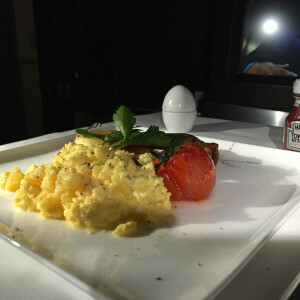 As we approached SFO, they offered breakfast service. 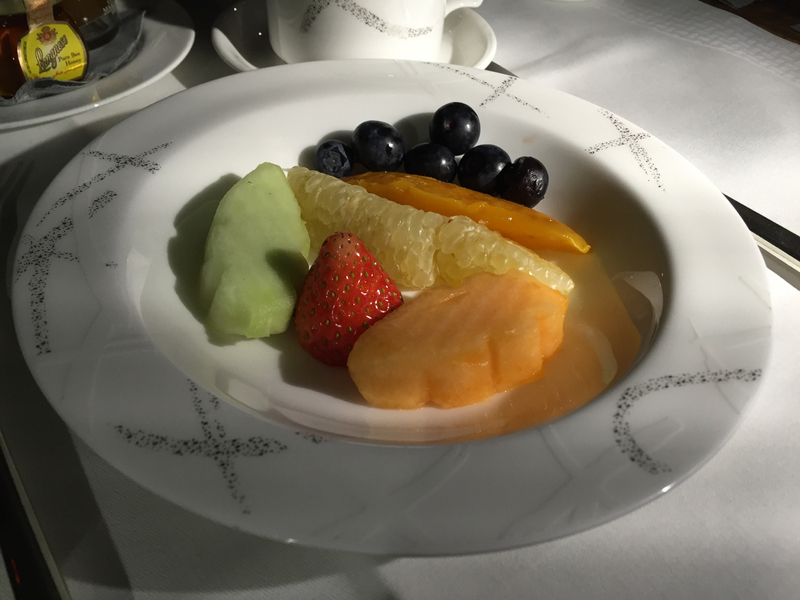 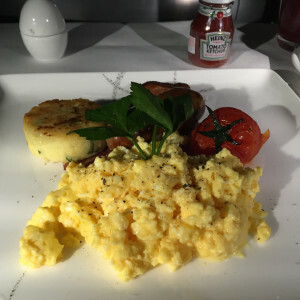 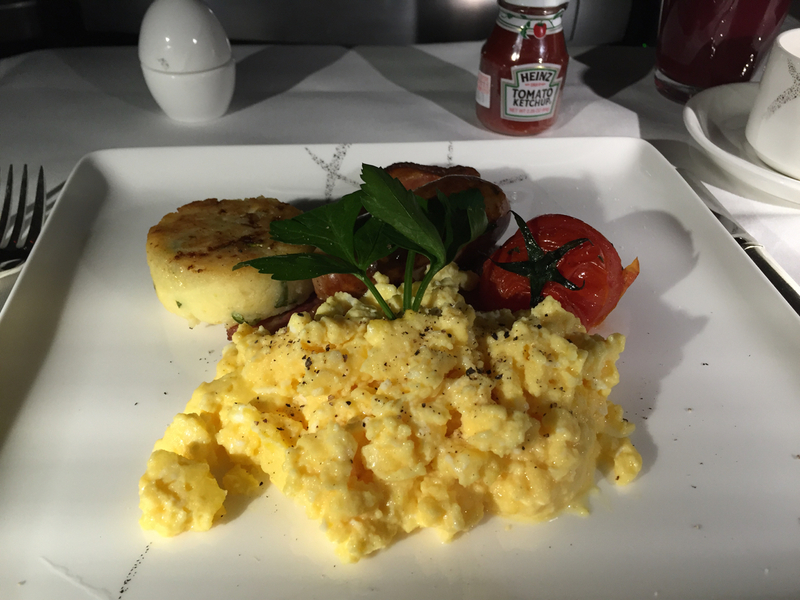 I opted for fresh fruit and the fresh organic free range scrambled eggs. 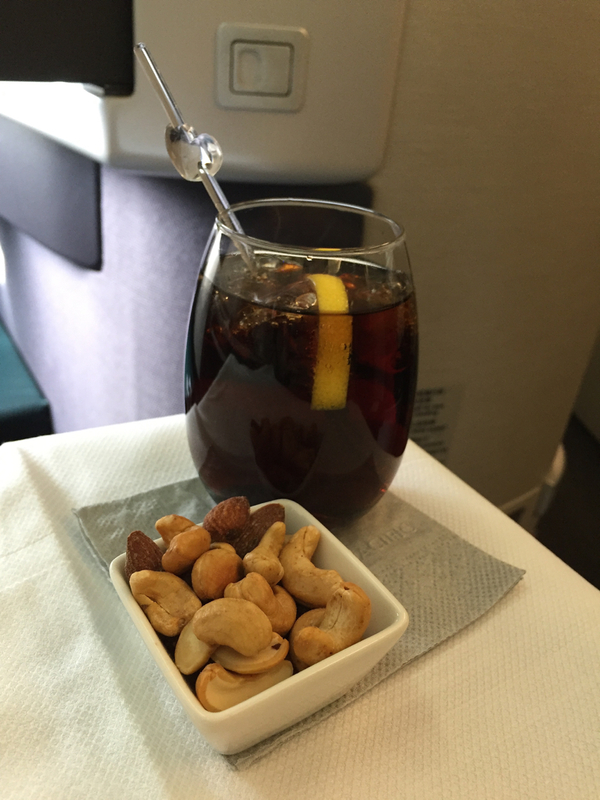 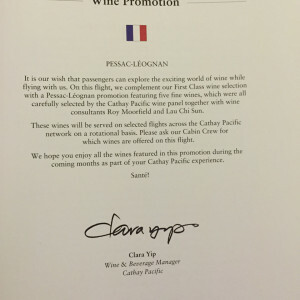 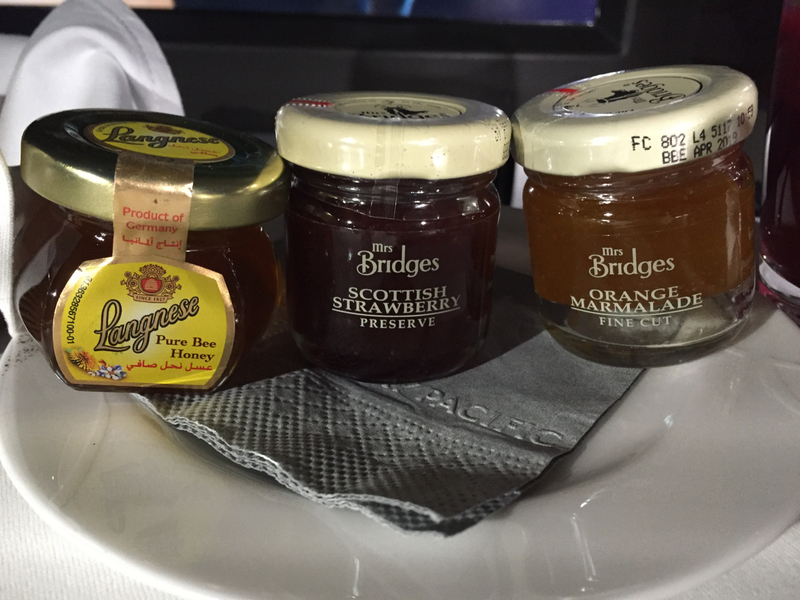 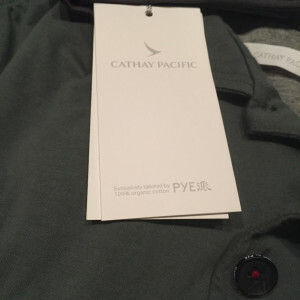 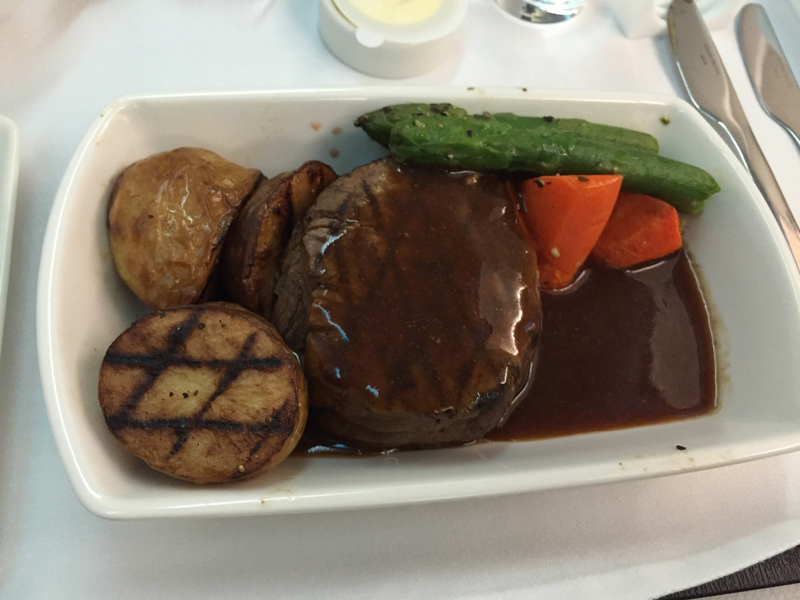 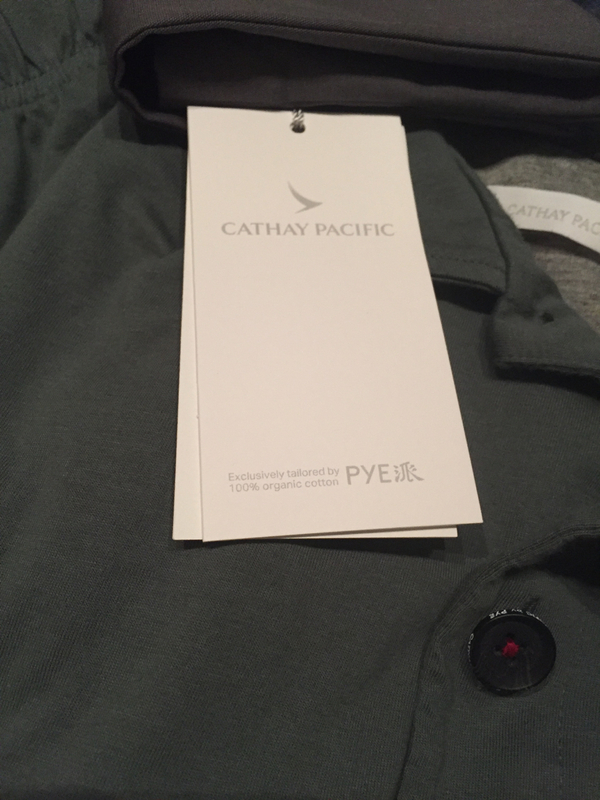 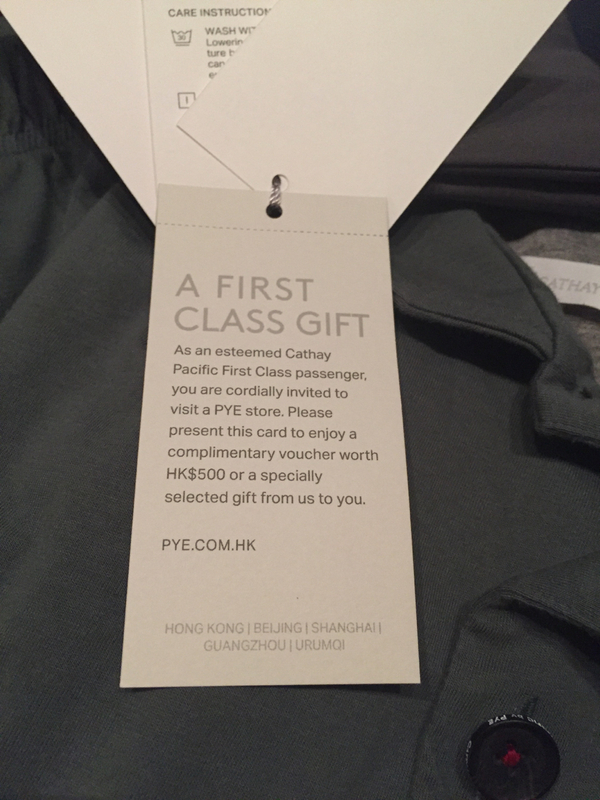 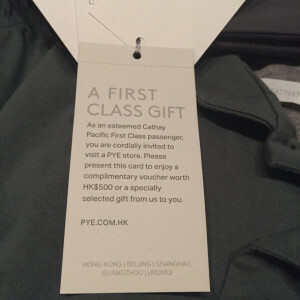 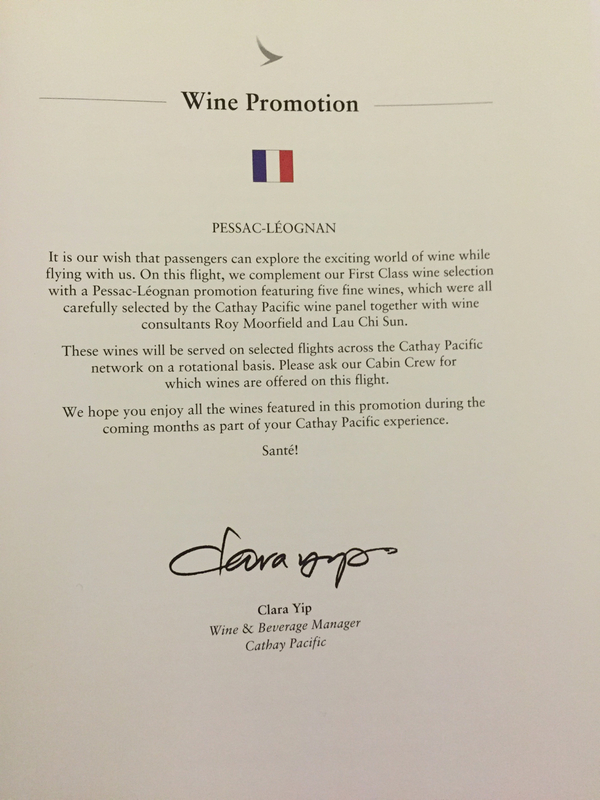 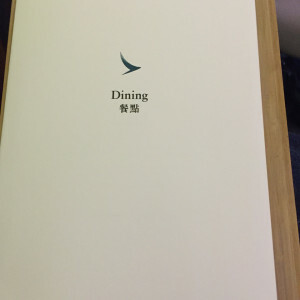 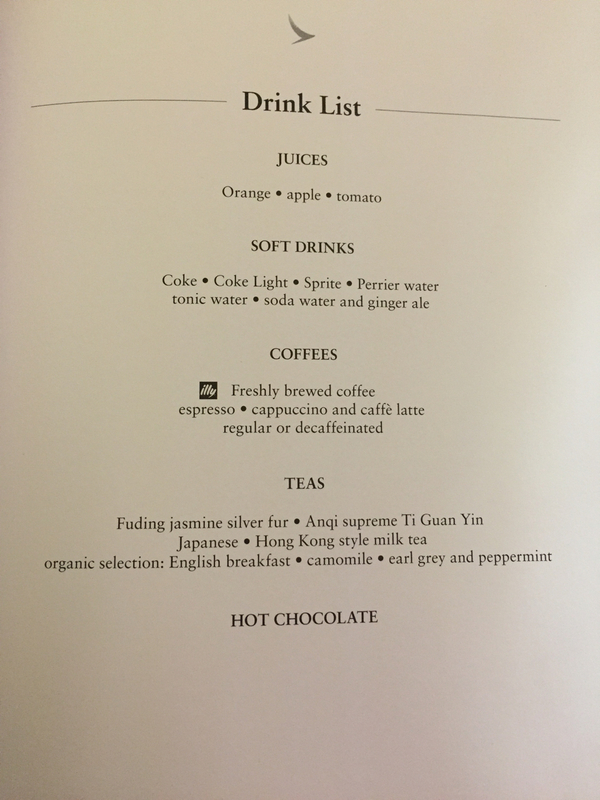 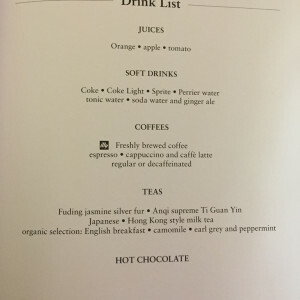 Excellent quality to end my 1st Cathay Pacific flight in First Class. 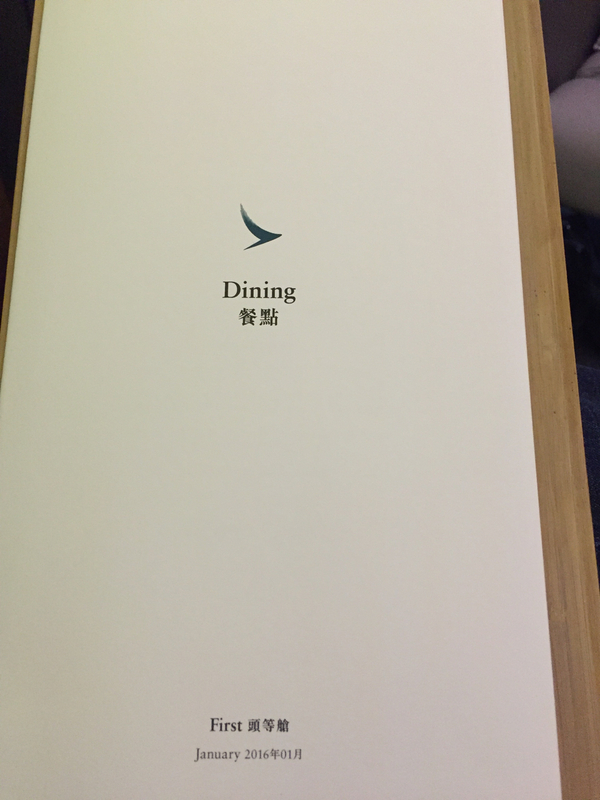 I highly recommend you try it once in your lifetime. 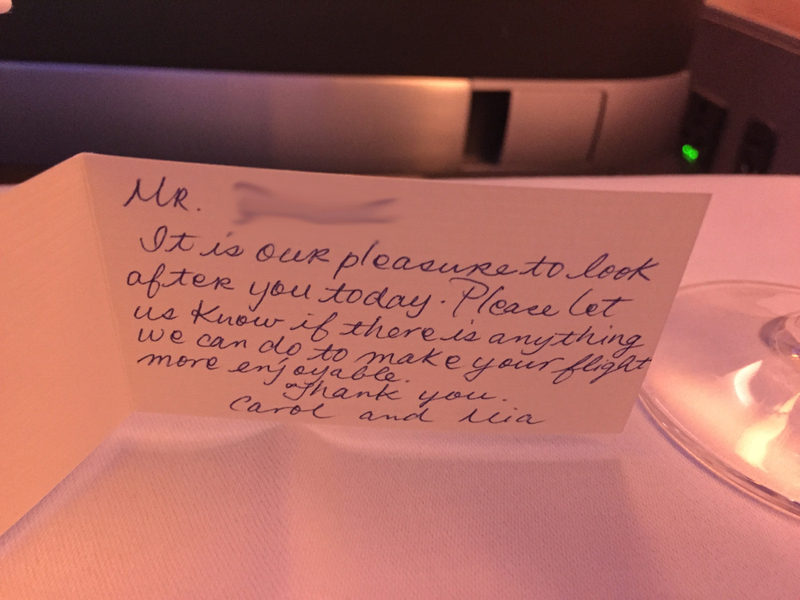 Thank you to Carol & Mia for a very memorable flight!